I'm over the moon right now with all of the incredible support I've received regarding my new Etsy shop!! Thank you for the continued encouragement and amazing feedback as always. For any of you who have ever wondered what it would be like to open your own store, I highly suggest setting up an online sales platform to get your feet in the water. It has been so fun to think about packaging, presentation, the photography, marketing...it really is my very own virtual store!! 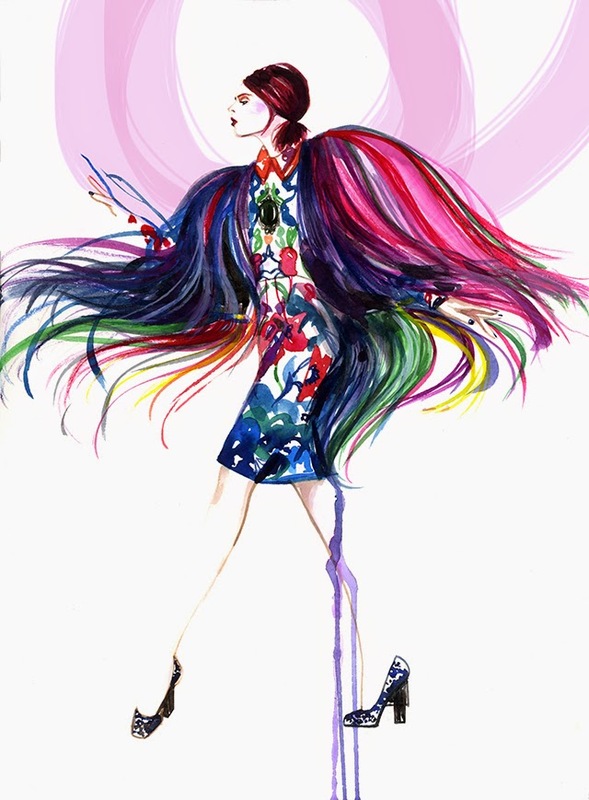 What sparked your interest in fashion illustration? From the time I was very young I had two unfailing loves, painting and fashion. When I was around 7 years old, I can remember sketching a collection of 30 women's looks under my stairwell in my childhood home. I had no interest in learning how to make the clothes I illustrated, but I knew that I wanted to keep drawing them. It took me about 15 more years to discover that I could actually have a career doing just that! Where are you based and what does your job entail? As for my job, it is a 24 hrs a day/7 days a week commitment of hard work, discipline, and passion. When who you are and what you do are the same, you live and breathe your job. 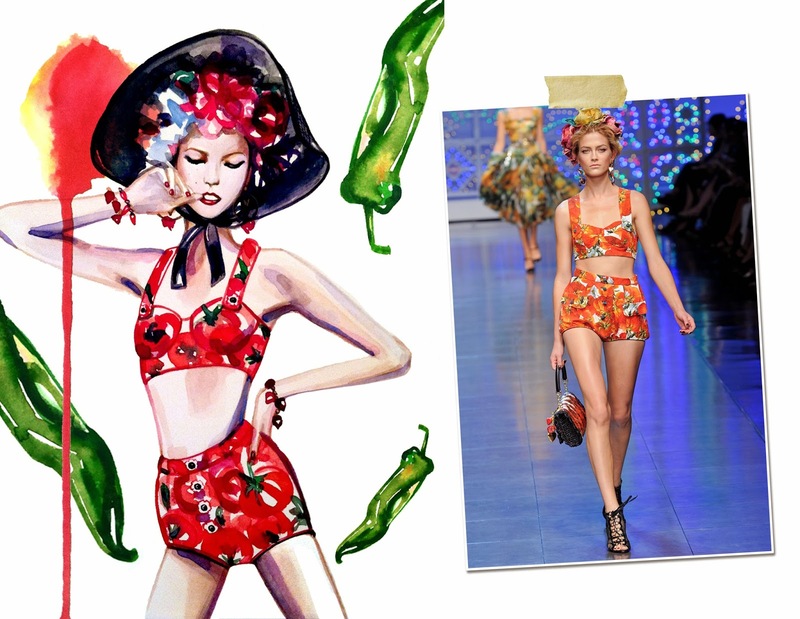 My blog and my fashion illustrations are a complete reflection of my most intrinsic self. Currently during the day I work as a Senior Digital Designer and Social Media Editor for an accessories company in Manhattan. But on my evenings and weekends I spend all my time illustrating, either personal work or commissions, and tending to my social media accounts. I nurture my social media like a garden. It takes maintenance and engagement in order for it to grow. What is your illustrative style? My style has been described as being very whimsical. 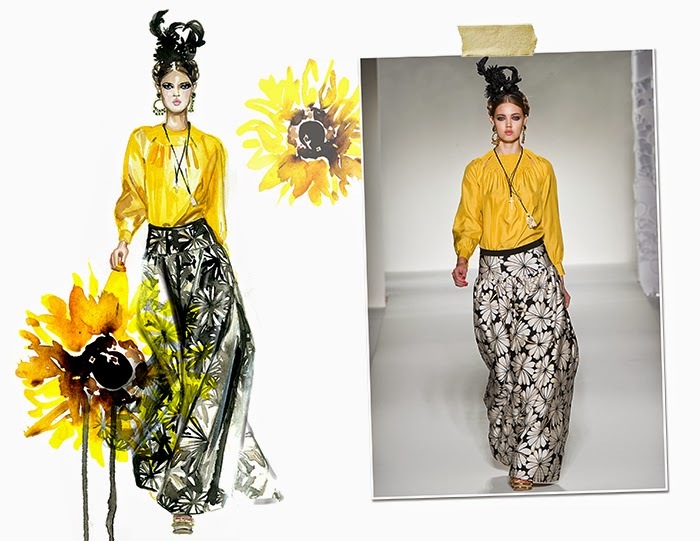 I always incorporate lots of color and infuse it with both travel and fashion inspiration. Some drawings are rendered loosely in 7 minutes or less, illustrated straight to paper. Other illustrations are slightly more rendered and involve conceptualizing in my sketchbook, transferring to watercolor paper, and more attention to detail in their finishing. I'm not a 'one style for all scenarios' illustrator. I have flexibility in my paint handling. Of all your illustrations, which one is your personal favourite? My personal favorite is probably Macaron Marie (above). It was the first painting I did after finishing my Fashion Illustration AAS degree at FIT in New York, and it's very indicative of my personal voice and brand. 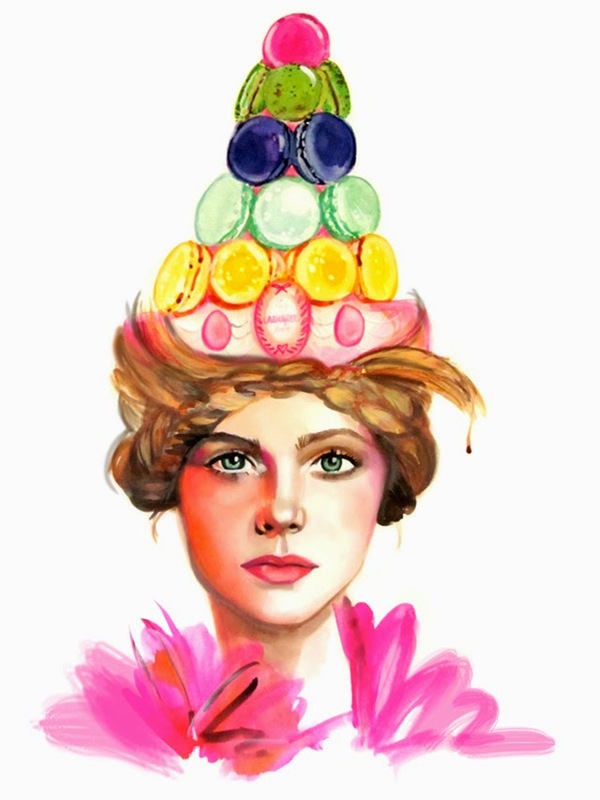 It incorporates travel, with Parisian macarons from Laduree, and merges it with a fashion style portrait of Elle Fanning as a modern day Marie Antoinette. Friends have said that when they think of me, they think of that painting! 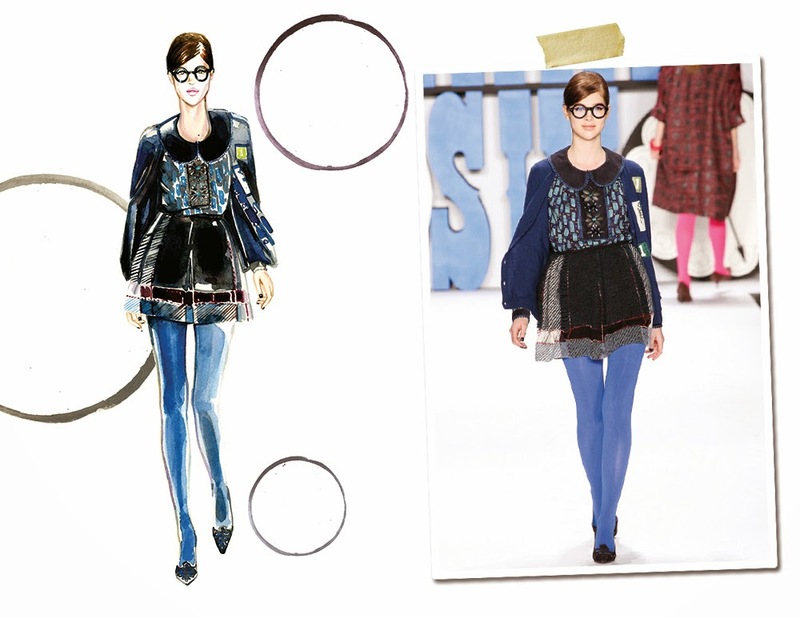 Do you prefer illustrating digitally or by hand? Totally, 100%, I prefer painting by hand. Nothing brings me more joy than washy inks or watery gouache touching fresh watercolor paper. There is a spontaneity in live painting that can't be replaced or replicated with computers. That said, I always scan my works and clean them up in photoshop when they are finished. Not all accidents are happy ones! This is always a fun question to answer. I'm definitely inspired by living in New York. From the time I walk out the door in the morning, until I reach my office 20 minutes later, I've already soaked up oodles of inspiration. It could be the way a woman is dressed en route to work, or the shop windows in my neighborhood. We have access to the most incredible art galleries, exhibitions, restaurants, markets, street style, nightlife...everything here is magic. I also collect so much inspiration from my travels abroad. I love to see how other people live, their culture, how they interpret style and fashion, how and what they eat, where they pass time. Are there any specific designers that you would like to work with? My absolute number one designer to work with is Kate Spade. I feel that their brand DNA is in perfect alignment with my own. They are all about living colorfully, taking influences from travel and incorporating it into their accessories and inspirations. 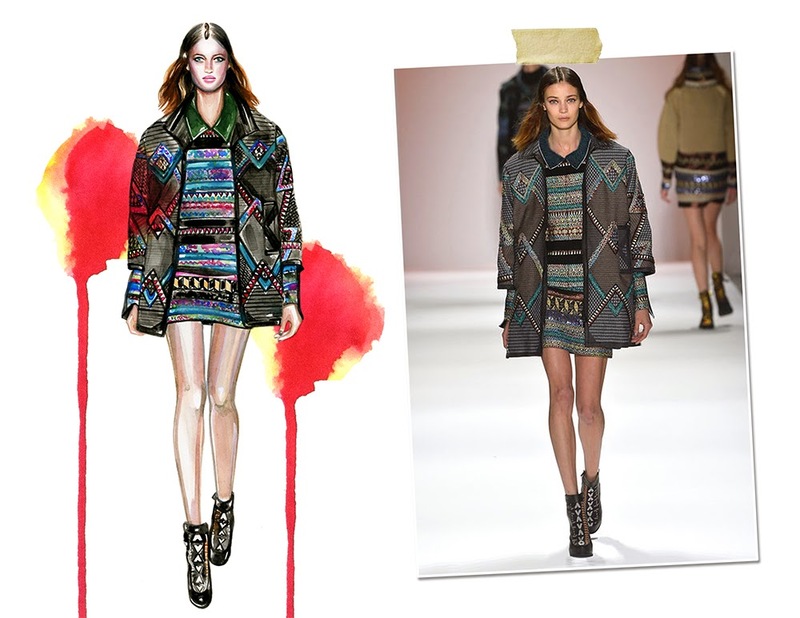 They also utilize so many illustrators for their capsule collections. 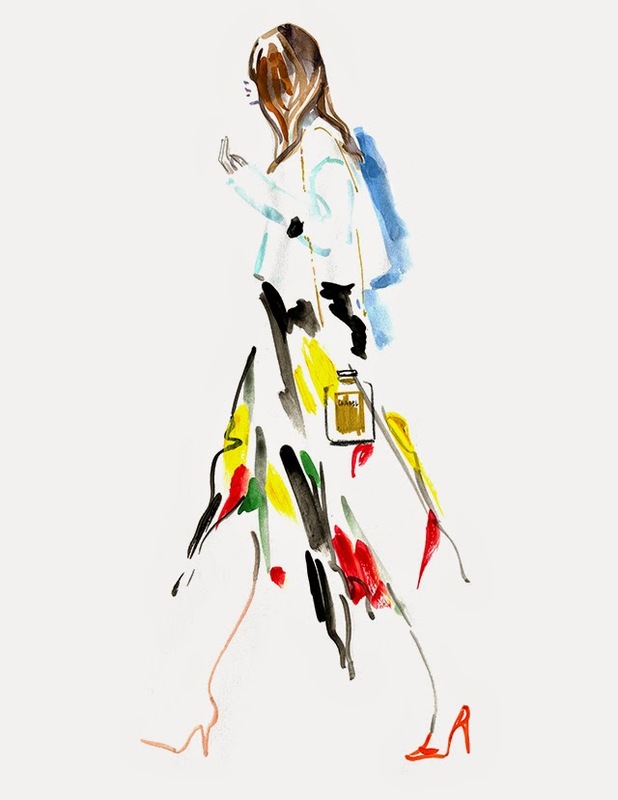 They've partnered with Garance Dore and most recently Bruno Grizzo for their Year of Travel collection. For similar reasons I would also love to partner with Henri Bendel. 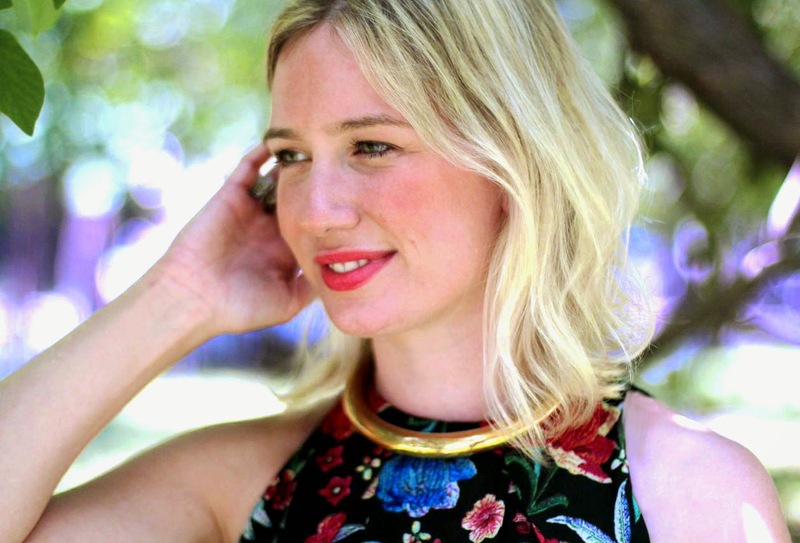 They've worked with the amazing Izak Zenou and Megan Hess on beautiful fashion illustrated silk scarves, travel cases, and accessories. 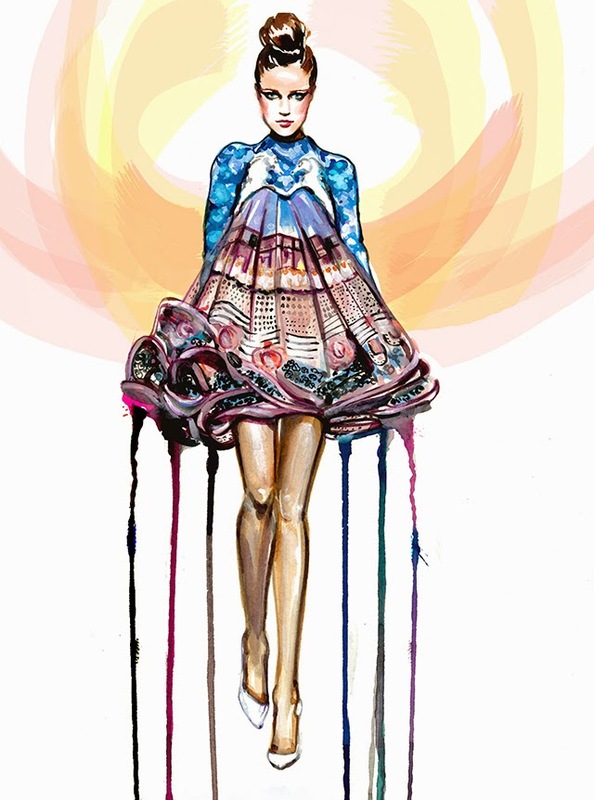 Ideally, where would you like your career in fashion illustration to go in the future? I want it to grow, grow, grow!! In the very near future I want to be running Meagan Morrison Studio full-time, an illustration and creative services company. I want to design my own line of accessories and stationary as well as continue to do editorial and custom illustrations for magazines, designers, and personal commissions. One area I'm really interested in now is collaborating with other designers for artist series projects. I love the idea of bringing two different creative sources together and designing a limited number of items to sell. I also want to continue building my blog and social media community. 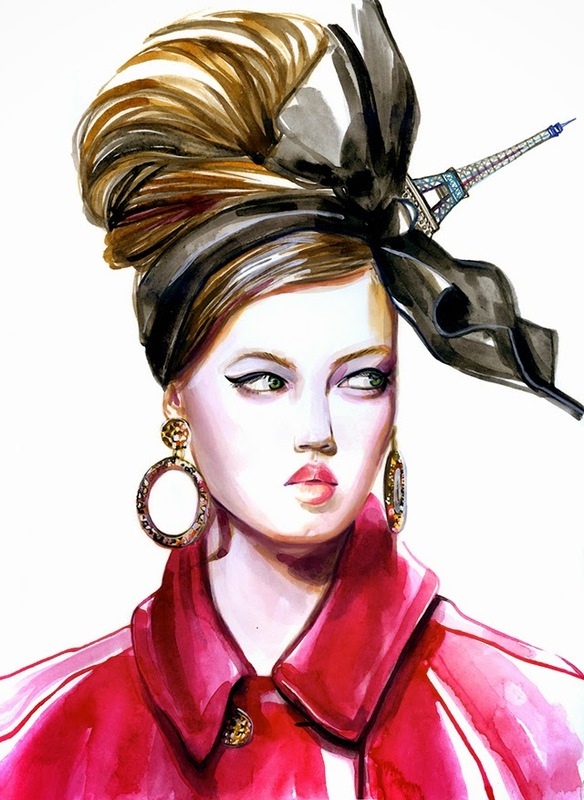 I love engaging with other artists and followers who share my passion for fashion illustration. Having my blog has been the driving force behind my growth and personal development in my illustrations. There is only one way I would like my illustration career to go, and that's up!! And that's it for the interview - I hope you enjoyed it. A very special thank you to Sam of Frills & Thrills for the amazing opportunity to share my journey on her blog. Fabulous interview! I follow Sam's blog. My sincerest gratitude to you for partaking in this interview, it was so inspiring and your illustrations are remarkable Meagan! Hi Meagan, that would be the loveliest gesture, I hope to host you here in South Africa soon! Have a splendid weekend hun! Such a great interview! I will definitely check out Sams blog. Beautiful beautiful pictures. You are soooo talented babe!!! CONGRATS on your Etsy shop! INCREDIBLE! Nice to hear and learn from you through this interview. I like your colorful style and use of flowers in your illustrations. I illustrate as well...and curious to hear what you think of my work. If you have time please let me know. I'm totally in love in your drawings! Amazing work! Nice interview! 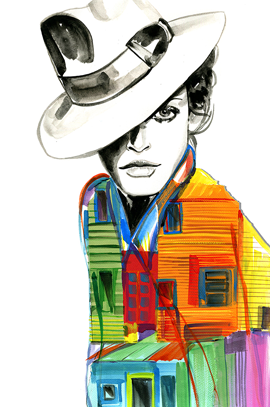 Great interview and your fashion illustrations continue to astound me! This summer I'm going to try to teach myself to begin to paint some cool things, since I've always just been a sketch artist. I'd love for us to talk more, maybe through email or something, if you have any tips you're willing to share? I'm literally a blank canvas, I'm so new to using color in my art. I think I'm ready now and you are simply incredible, I love to talk mediums, utensils, brands and technique. Let me know!